Welcome to Techs-4u . Home of the best computer repair in St. Louis . Our A+ Certified Technicians offer quality computer service at a flate rate for home computer repairs. Whether it's configuring windows server for your business or setting up your home wireless network, we can handle it. We'll come to you or you can drop your computer off for fast service. Computer Repair doesen't have to be expensive. We have affordable prices for most services. Our computer service center is insured, so you know that your laptop, desktop, or tablet is in good hands. We have affordable options to tune up your slow pc and lots of computer parts on hand to upgrade that old computer. Give us a call and let us show you what separates us from the rest. Is your laptop or desktop performing slowly or won't boot? Need a diagnostic? Give us a call. 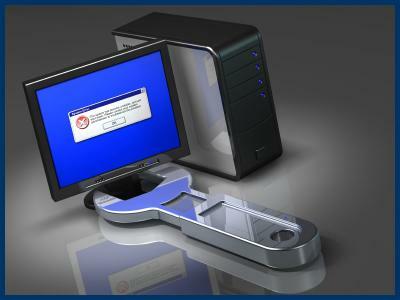 With this service we can determine if your hard drive is failing or if your windows registry is corrupt. Many times costly repairs can be avoided with early detection. If your computer is infected with a virus or trojan ask about our same day, and next day services if time is critical. We are qualified to work on all major brands such as Sony, Toshiba, Dell, Hp, Lenovo, Acer and Asus. We solder at the motherboard level and all repairs are performed in house at our computer service center. We also stock various laptop parts and accesories. Onsite computer repair is available as well. Feel free to read our reviews of our many satisfied customers. All computer repairs in St Louis are completed quickly. Business computer configurations are available. Let us develop a backup routine for that critcal data. If you have lost your partition, your data, or the hard drive boot sector is damaged we can help with that as well. We install cat5 cabling, as well as configure wireless networks along with wifi hotspots. Call for a free consultation!